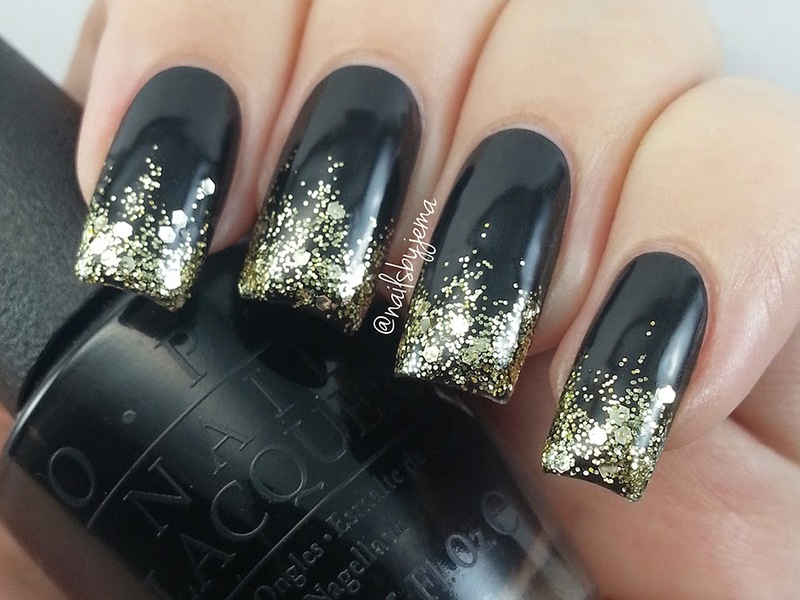 N A I L S B Y J E M A: Glitter Tip Nails For New Years & Full Length Tutorial! It's a really quick and easy mani that anyone can do. The trick is to resist the urge to add more glitter!! 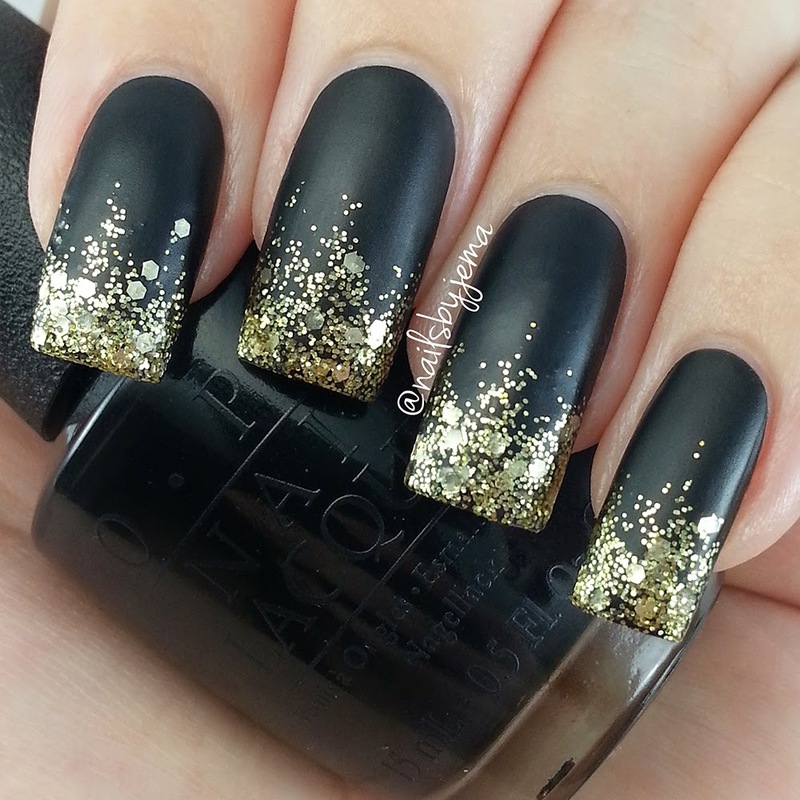 I used OPI 'Black Onyx' as a base and then painted L.A. 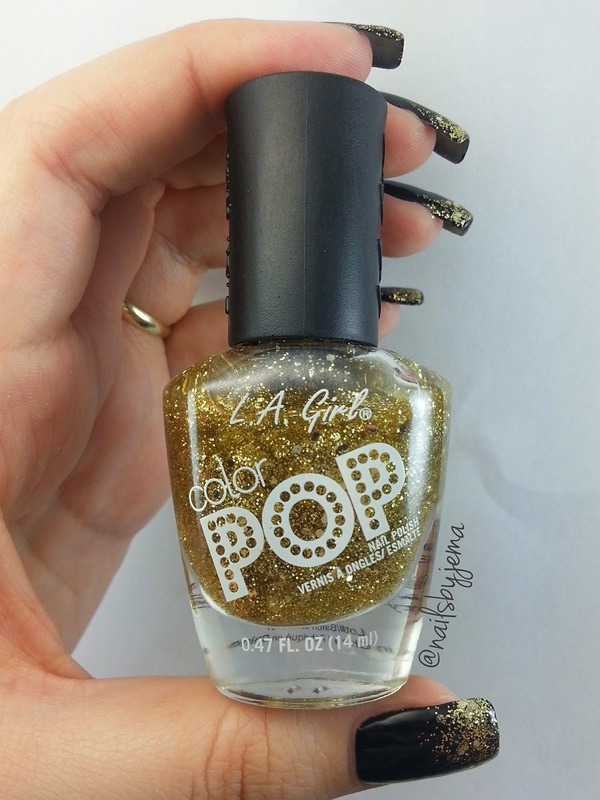 Girl Color Pop 'Glitzy' on the end and slowly built it up with two coats. Then with a bit of makeup sponge, I painted some of the glitter polish on it and dabbed the glitter on the nail. This is the best way to get a huge glitter payoff as the clear polish is soaked into the sponge and it leaves only the glitter. I added a topcoat to finish it off. Both hands only took me 10 minutes to do! So fast. And then I matted them!! 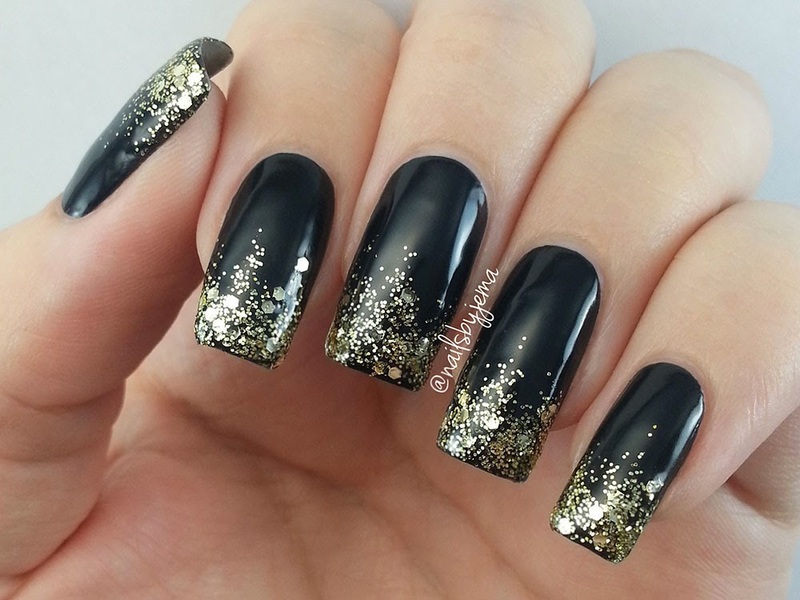 Matte glitter just works! I added the Sally Hansen 'Big Matte Top Coat' over it to matte them. I started this blog this year and I could never have imagined that my hobby would grow to what it is now. My nail art being so well recieved has been a shining light in a pretty crappy year for me & I just want to thank you all for that. 2015 is going to be crazy busy for me with launching my own business and continuing to share my nail art with you all.